One industrial engineering (IE) student has embraced her great grandfather’s mantra that “an engineer can do anything” as she prepares to walk across the stage at this weekend’s commencement ceremony. Emily Carter will graduate with her BS in IE on Saturday. Her great grandfather Joseph Walkup served as chair of the IE department (originally called “General Engineering”) from 1942 to 1973, her grandfather Robert Walkup graduated with his BS in IE in 1960, her grandmother Janet (Polson) Walkup graduated with a degree in Applied Art in 1959, and her mother Holly Walkup Carter graduated with a BS in IE in 1983. Joseph Walkup always encouraged his children and his students that “an engineer can do anything” and that message has continued to resonate for more than half a century. Joseph Waklup senior entry. Photo from The Makio (Ohio State University’s yearbook), 1932. Joseph Walkup earned his BME (bachelor of mechanical engineering) and BA from The Ohio State University in 1932. After graduation he worked for General Electric (GE) for seven years before being hired as an assistant professor of industrial engineering at his alma mater. During this time, he also earned a professional degree in industrial engineering. He then served one year as head of the industrial engineering department at the University of Pittsburgh before being hired as a professor and head of the general engineering department at Iowa State. 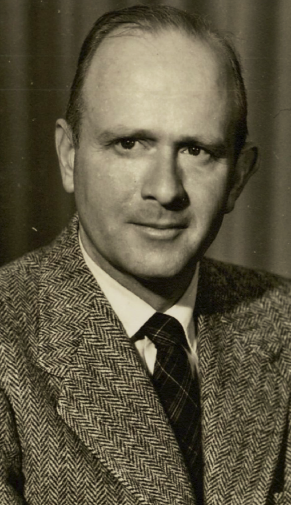 Walkup’s term as head of general engineering – which was renamed industrial engineering 1956 – spanned from 1942 to 1973. Over his career he taught Industrial Organization, Safety Engineering, Manpower Management, and Job Evaluation. He also served on the Athletic Council and the Traffic Committee’s Safety Council. Outside of his responsibilities with the university, he was involved with the Ames Rotary Club, the YMCA of ISU, and local Boy Scout troops. He was also a licensed pilot and enjoyed fishing. 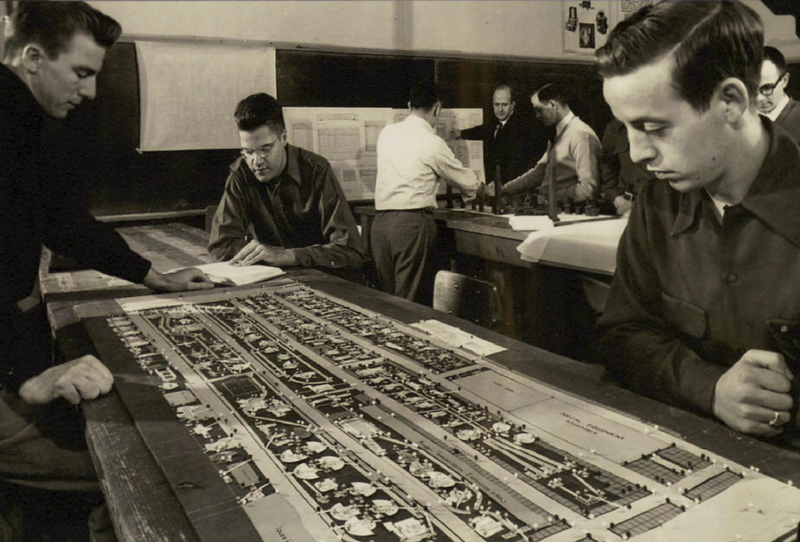 A scene from a General Engineering course taught by Walkup in the 1950s. 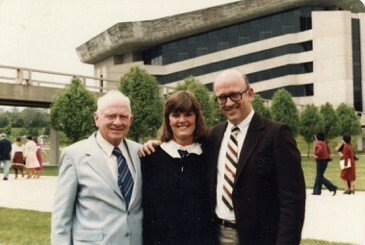 In 1974 Walkup established the Wildah Turnbull and Joseph K. Walkup Memorial Fund at The Ohio State University in memory of his late wife. Joseph Walkup passed away in 2001. The Joseph K. Walkup Prominence in Industrial Engineering award was established at Iowa State in 2003 and in 2011 the Joseph Walkup Professorship was endowed. Robert “Bob” Walkup grew up in Ames and from an early age his father Joseph instilled in him the importance of education. 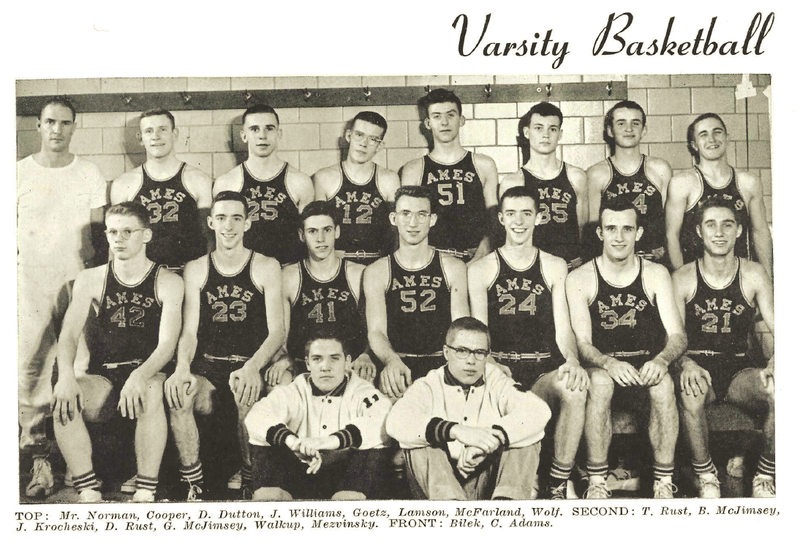 The younger Walkup was a three-sport athlete (football, basketball, track) as a prep at Ames High but took a seat on the bench during his senior year in 1955 to focus on his studies. That year Ames won the state title in boys basketball. Joseph’s emphasis on hard work continued when Bob enrolled as a student at Iowa State. “I studied. I don’t think I even dated. I never went downtown for a beer. I was either at home or at the library,” Bob Walkup said in 2013, adding that his father always found “relevant work” for him to do when classes weren’t in session. After completing his BS in IE in 1960, Bob Walkup spent more than 35 years in industry working for Rockwell International, Fairchild Republic, and Hughes Aircraft Company. Through this work he was able to live in various parts of the country and the world including New York, Iowa, Texas, California, and even Australia when he worked as an engineer at a U.S. satellite tracking station during the Cold War. 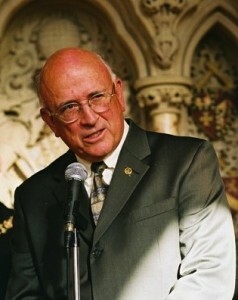 Walkup also applied his engineering skills and knowledge when he worked in municipal government, serving as the mayor of Tucson, Arizona from 1999 to 2011. During his tenure Walkup oversaw a $200 million streetcar modernization project. Following his stint as Tucson’s mayor, Walkup was appointed honorary consul to South Korea, serving as a liaison for the roughly 50,000 South Koreans living in Arizona. Though he has had the opportunity to travel the world since leaving Ames, Walkup said his time at Iowa State helped to provide him with the framework necessary for a successful career in engineering and beyond. “I am so proud of the IE faculty and staff which through the many years has maintained their commitment to excellence. Their ongoing support of the students and graduates from the department has led to countless very successful careers in engineering not only in America but around the world as well,” he said. Holly Walkup’s senior picture. Photo from The Bomb, 1983. Holly Walkup Carter grew up knowing that she would eventually become a Cyclone engineer. “From the time I was little I remember my grandfather and father talking about the fact that engineers are the ones who solve the world’s problems and that Iowa State was the best college to go to for engineering so I just naturally wanted to be a part of that too,” she said. In addition to her IE studies, Walkup Carter spent four summers serving as an IE co-op for Rockwell International in her hometown of Cedar Rapids. “Receiving on-the-job training played a critical role in inspiring me to persevere through all the difficult coursework because I really enjoyed the sense of satisfaction that solving difficult problems brought and I knew that if I could stay-the-course I would love the career,” Walkup Carter said. She said that the co-op experience coupled with the knowledge she gained in the IE curriculum helped her to land her dream job as a Manufacturing Management Program (MMP) engineer for GE upon completing her BS in 1983. After graduating from the MMP program she moved to GE’s Aircraft Engine Division in Albuquerque, New Mexico, where she held a number of different engineering positions in Quality, Production Control, and Engineering Management. She left GE in 2000 so she could put all of her efforts into homeschooling her two children: Emily and Matthew. In 2017 she received her Nutritional Therapy Practitioner certification and earlier this year launched her own business, Cornerstone Nutrition and Wellness. 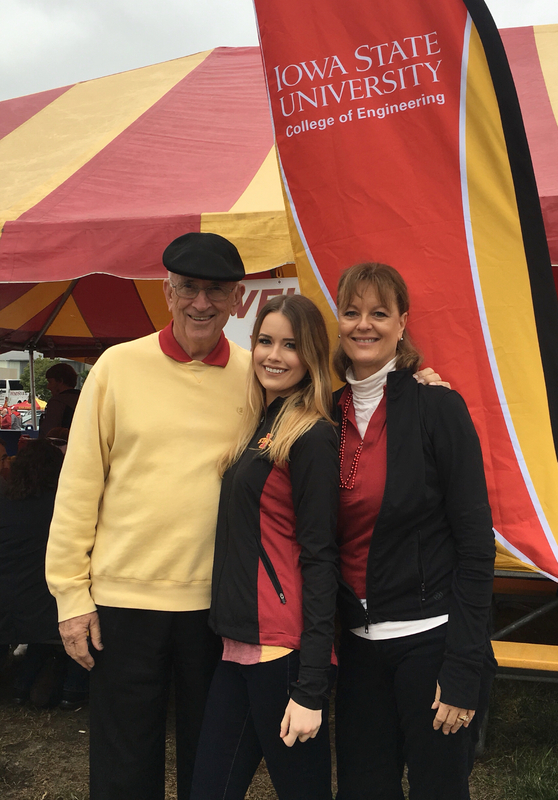 Much like her father, Holly said that Iowa State’s IE curriculum helped to get her to where she is today and that her time at Iowa State provided her with memories that will last a lifetime. When it came time for Emily Carter to apply to college, Iowa State was the obvious choice considering she grew up reading books featuring Cy the Cyclone and listening to family members singing the Iowa State Fight Song. She said declaring IE as her major was another easy decision. Growing up, Carter lived in various parts of the United States including New Mexico, Georgia, and Washington state. She was exposed to engineering at an early age through her family but said it wasn’t until high school that she really began developing a deeper interest in engineering, particularly in regard to solving difficult problems and determining the root cause of those problems. Carter has kept busy since arriving on campus in the fall of 2012. She is a member of Delta Delta Delta sorority as well as Alpha Pi Mu, the IE honors society. She also served as an ambassador and eventually executive co-chair of the Engineering Career Fair. In addition, she served as a Student Admissions Representative for four years which involved giving campus tours to prospective students. It was in this position that she developed one of her fondest memories from her time at Iowa State. 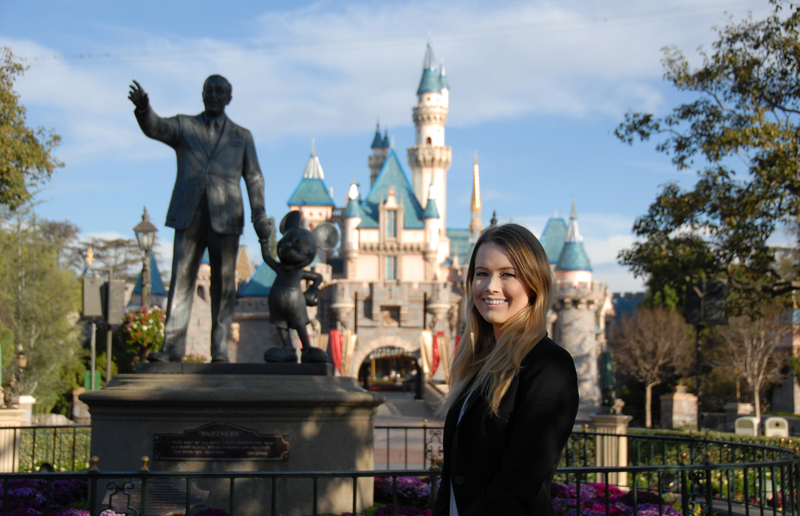 Along with her involvement with these various campus activities, Carter has also stayed busy with various internships and co-ops at Whirlpool, The Walt Disney Company, and Raytheon Missile Systems. She said that these positions gave her the opportunity to apply the things she learned in the classroom to real-world situations. “In all of these work experiences I have used many of the concepts taught in class like line balancing, ergonomics, layout redesign, lean manufacturing, design of experiments, simulation, and so on. In addition, my internships have given me an opportunity to continue to improve my interpersonal skills which is also something that is heavily emphasized in the IE curriculum,” Carter said. Following graduation Carter will move to Tucson, Arizona where she will work for Raytheon Missile Systems as an Industrial Engineer/Program Planner in their Manufacturing and Test Engineering Department and their Leadership Development Program Management Department. After reflecting on her time at Iowa State, she offered some advice for students getting ready to begin their own college adventures. She added that industrial engineering can be a good degree choice for students who want some flexibility with their career options after college. “What makes industrial engineering unique compared to other engineering disciplines is its versatility. Every business benefits from industrial engineering techniques and tools, making it possible to work in almost any industry. IE provides you with unique projects and challenges making sure you never get bored and gives you the opportunity to improve people’s lives while saving your company millions of dollars,” she said. From teaching college courses, to working in Fortune 500 businesses, to leading large cities, to owning their own companies, to just beginning their careers, one thing is clear when reviewing the diverse career paths of these four generations of Iowa State industrial engineers: Joseph Walkup was correct, an engineer really can do anything.